University Visit was organized by the Department of Career Guidance Counseling on 27th August 2018 in the AV Room. The visiting institutions were the Oklahoma State University, Rochester Institute of Technology, University of Maryland, University of Bridgeport, San Jose State University, New Jersey Institute of Technology, The University of Texas, Dallas Baptist University and Binghamton University- State University of New York from USA. 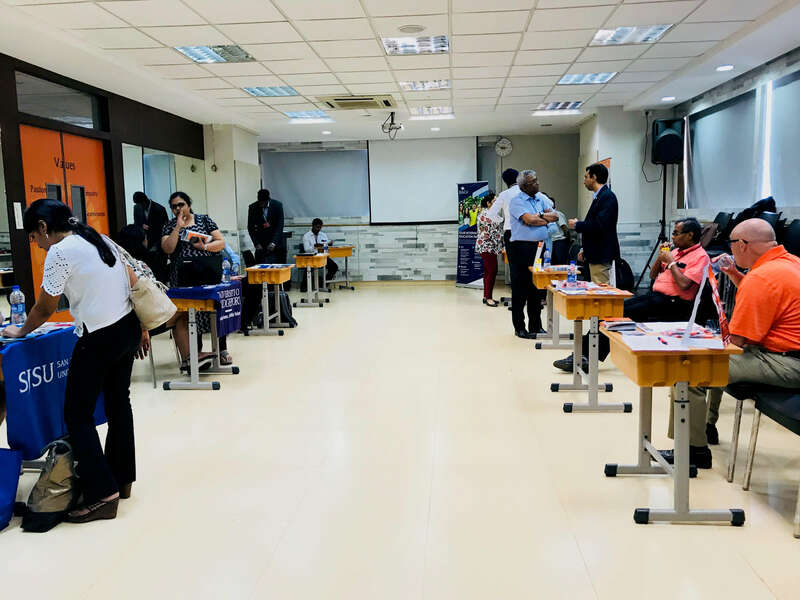 Each representative guided the parents and students through the University culture, the best courses offered at the campus and the application process for the same.